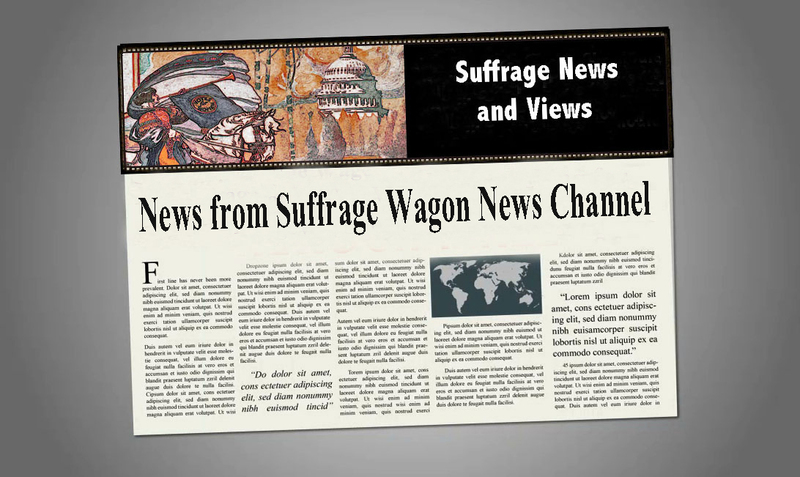 Books from Suffrage Wagon Book Shelf on Vimeo. When US women vote, they should tip their hats to Frederick Douglass. This illustrated work by David W. Blight is 888 pages long, published by Simon & Schuster. It places Douglass at the center of US history. Without Douglass, those attending the Seneca Falls, NY women’s convention in Seneca Falls, NY wouldn’t have added women’s voting rights to their platform. 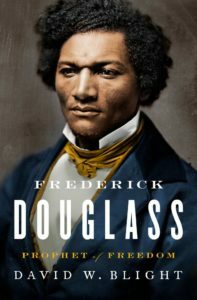 In this lengthy work, the reader will learn more about Douglass than they ever thought possible. There is a statue of Frederick Douglass and Susan B. Anthony in Rochester, New York—down the street from the Susan B. Anthony Museum and House. A statue of Frederick Douglass can also be found on Central Park West and 110th Street in Manhattan. In 2020, the first statue of women in Central Park, NYC, will be unveiled of Susan B. Anthony and Elizabeth Cady Stanton. A model of this statue will be on display at the New York State Museum in Albany, NY through March of 2019. 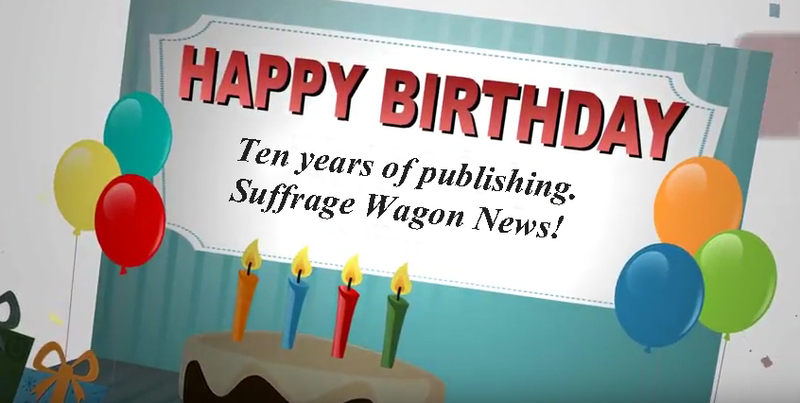 Suffrage Wagon News Channel is going into its 10th year of publication. Are you planning for March, Women’s History Month? 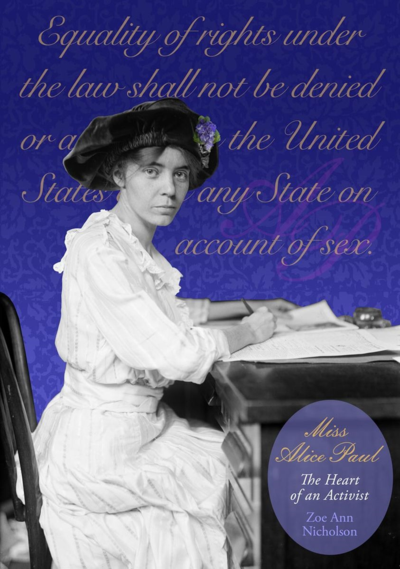 Zoe Nicholson offers programming on suffrage activist Alice Paul.